As mentioned in previous posts, Jason King is the founder of Sean’s Outpost, a homeless outreach center in Pensacola, FL. 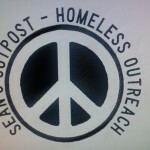 So far, Sean’s Outpost has fed 20,000 people through donations. 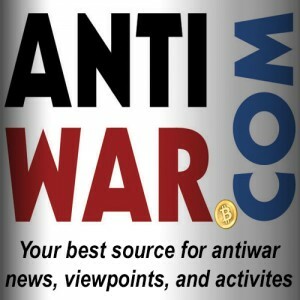 Hold up, let me say that again, 20,000 people have been fed with Bitcoin donations. Simply amazing. With the help of the generous Bitcoin community, he also acquired nine acres of property that will be used as a homeless sanctuary. The landlord is even allowing him to pay for the property in Bitcoin. Jason named the property Satoshi Forest in honor of the mysterious creator of Bitcoin, Satoshi Nakamoto. His vision for the land incorporates permaculture techniques of gardening, food forestry, aquaponics, a kitchen area to prepare meals, and paying the homeless in Bitcoin to build their own portable small homes situated on trailer hitches. There has never been anything like Satoshi Forest in Pensacola, so this is groundbreaking for the homeless community here; who was left to struggle even more after a panhandling ordinance passed outlawing homelessness. Satoshi Forest will also be a self-sustaining crypto-community. The Forest backs up to water, which will be useful for self-sufficiency, and plans for a stage will provide a unique venue for events and speakers on a variety of educational topics. This past weekend, I got a sneak peek at the property and helped with cleaning up. We probably covered maybe a quarter of an acre between six people, and much work still needs to be done, but the experience was an exciting one and the difference afterwards was noticeable. From old carpets trapped by roots to the ground to snakes to a beautiful but pesky kudzu invasion, we encountered some interesting items during the clean-up. Ever the klutz, I discovered a bucket containing a wasp nest covered with dozens of wasps, but escaped right before they were able to swarm (luckily it was chilly and they were slowed from their usual velocity). Later, Jason contained and triple bagged the wasp nest which we joked no doubt could have been a useful tool for some uncivil disobedience, but alas, we lacked the time and had to press on. 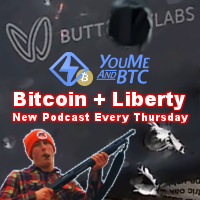 Coming up this weekend, Jason will be holding a Satoshi Forest camp out to celebrate the five year anniversary of Satoshi’s paper Bitcoin: A Peer-to-Peer Electronic Cash System, which laid out the concept of Bitcoin. There will be food and ample room for camping and you can RSVP by sending an email to SeansOutpost@gmail.com. Please come join us for what will be the beginning of an autonomous community in Pensacola fueled by Bitcoin! I’ll be publishing a write up of my experience there next week.